RainbowSeeds.ca - Growing Instructions - RainbowSeeds.ca - Welcome Back! 20 seeds/gram Start seed indoors in a soil-less mix 8-12 weeks before the last frost date in your area. Sow the seed 6mm (1/4") deep and germinate at 21-26 C (70-80 F). When seedlings are 2.5-5 cm (1-2") high transplant to individual 10 cm (4") pots and grow on at 15-21 C. Harden off and transplant to the garden after the threat of frost has passed. Artichoke does best in full sun with a deep, organic, fertile soil. Space plants 60-90 cm (24-36") apart in the row with rows 1.75 m (6') apart. Keep plants evenly watered and mulch the soil to help preserve soil moisture and keep the soil from becoming too warm in summer - if the soil does become too warm, it can trigger a summer dormant period. Start with a thin layer of mulch and build it up to 10 cm (4") thick as the plants grow. 50 seeds/gram Plants can yield for 20 years. Select a sunny site with well drained soil and work in large amounts of composted manure 12" deep. A soil pH in the range of 6.5 to 7.5 is ideal. Soak seeds in water for 2 days. Sow 2.5 cm (1") deep and 12.5 cm (5") apart in rows 45 to 60 cm (18-24") apart. Thin the seedlings to 15 cm (6") apart when they are 7.5 cm (3") tall. During mid-spring in the second year, transplant the 1 year old roots 45 cm (18") apart in rows 1 m (40") apart. It is best to wait until the third year after sowing to take a regular harvest. Each spring, mulch established plants with compost and work in large amounts of composted manure 30 cm (12") deep. Feed with a general-purpose vegetable fertilizer such as granular 4-12- 8 or soluble 20-20-20. ​4-5 seeds/gram The growth requirements for pole beans are mostly the same as bush beans. The main difference is pole beans need to be grown on trellises, open weave fencing, nylon bean netting strung between supports or on bamboo or pole teepees. Securely anchor temporary structures to prevent collapse during the growing season. Make sure irrigation supplements rainfall during droughty weather. 4-5 seeds/gram Culture: Beans tolerate a wide range of soil types. Their best growth is in light, organic, well drained soil with a pH of about 6.5. Beans have a distinct dislike for cold, wet soils, so sow seed only after the soil has warmed to at least 16 C (60 F). Sow 2.5 cm (1") deep and 8 cm (3") apart in rows spaced 45 to 70 cm (18 to 28") apart. To ensure a continuous harvest, sow bush-type varieties every 10 days until mid-July. Keep beans evenly watered, particularly when the plants are in flower and when production of the pods start. Avoid the use of high nitrogen fertilizer. Nitrogen promotes excessive foliage. Avoid disturbing beans when leaves are damp to reduce the incidence of disease. 4-5 seeds/gram The growth requirements for pole beans are mostly the same as bush beans. The main difference is pole beans need to be grown on trellises, open weave fencing, nylon bean netting strung between supports or on bamboo or pole teepees. Securely anchor temporary structures to prevent collapse during the growing season. Make sure irrigation supplements rainfall during droughty weather. 1-2 seeds/gram Beans tolerate a wide range of soil types. Their best growth is in light, organic, well drained soil with a pH of about 6.5. Beans have a distinct dislike for cold, wet soils, so sow seed only after the soil has warmed to at least 16 C (60 F). Sow 2.5 cm (1") deep and 8 cm (3") apart in rows spaced 45 to 70 cm (18 to 28") apart. To ensure a continuous harvest, sow bush-type varieties every 10 days until mid-July. Keep beans evenly watered, particularly when the plants are in flower and when production of the pods start. Avoid the use of high nitrogen fertilizer. Nitrogen promotes excessive foliage. Avoid disturbing beans when leaves are damp to reduce the incidence of disease. Length of Row Packet; 3 m (10 feet). 60 seeds/gram Beets thrive in sandy loam with a pH of 6.0 to 7.5. Remember to fertilize. For continual harvest, sow seeds 1.2 cm (1/2") deep and 2.5 cm (1") apart in two week intervals beginning when the soil has warmed to 7 C (45 F) and avoid sowing after mid July. As each beet seed is actually a corky fruit with 2 or 3 seeds contained within, it is important to thin the young seedlings to 7–10 cm (3–4") apart to provide enough room for proper root formation. Use plants that are thinned as a source of tender, edible greens. Over-watering or excessive rainfall may lead to excessive leaf growth and pale or small roots. One packet sows approximately 6 m (20’) of row. 60 seeds/gram Beets thrive in sandy loam with a pH of 6.0 to 7.5. Remember to fertilize. For continual harvest, sow seeds 1.2 cm (1/2") deep and 2.5 cm (1") apart in two week intervals beginning when the soil has warmed to 7 C (45F) and avoid sowing after mid July. As each beet seed is actually a corky fruit with 2 or 3 seeds contained within, it is important to thin the young seedlings to 7–10 cm (3–4") apart to provide enough room for proper root formation. Use plants that are thinned as a source of tender, edible greens. Over-watering or excessive rainfall may lead to excessive leaf growth and pale or small roots. One packet sows approximately 6 m (20’) of row. In late April through to late May, sow seeds 19 mm (3/4") deep and 25 mm (1") apart in rows spaced 50 cm (20") apart. After germination do a first thinning to 7.5 cm (3") apart. Fertilize with a balanced formula such as 20-20-20 soluble every 10 days after the first true leaves appear. Subsequent thinning of the seedlings will be required. Keeping the area weed free along with maintaining even soil moisture are two essential practices that promote well formed roots. 60 seed/gram Sow seed directly into the garden 1.25 cm (1/2") deep in rows 30-45 cm (12-18") apart. Successive sowings as late as the first of July helps extend the harvest. Beets produce a compound seed which means each seed can produce up to 4 sprouts so thinning is essential for good root formation - thin seedlings to 10 cm (4") apart - you can use the tops of thinned beets as a source of baby greens. Irrigation is important during dry spells up until the roots begin to swell. Fertilizer improves quality and size of roots. 300 seeds/gram Plants mature quickly and grow best in cooler weather. Both early and late crops are possible. For early crops, start seeds indoors in a soil-less mix from late March to early April. Set out the transplants in late April and early May spacing them about 45 cm (18") apart in rows 90 cm (3') apart. Fertilizing is essential. Use a balanced NPK granular or 20-20-20 water soluble. Keep weeded and evenly watered. Broccoli may become top heavy as the heads form – staking may be required. Harvest the main head when the buds are tight and compact, well before flowering. Cut the centre stalk at an angle below the main head and avoid damaging the side shoots. This encourages more heads to develop and will prolong the harvest. Flowering will signal an end to head production. One packet sows approx. 20 m (66’) of row when thinned to a 40-50 cm (16-18”) spacing. Start seed indoors in a soil-less mix 4-5 weeks before your normal last frost date. Sow seed 6mm (1/4") deep and keep at 21 C (70 F) for the 7-10 day germination period. 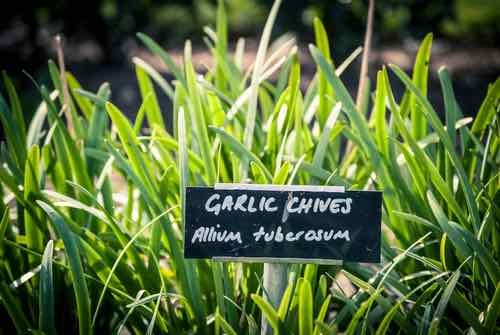 Grow on at slightly cooler temperatures then, harden off and transplant outside to a sunny area in late May. Space plants 75 cm (30") apart in the row with rows 75 cm (30") apart. An ideal green manure. Smothers weeds once it is established, protects soil and provides valuable forage for pollinating insects and honey bees in particular. Take time to prepare a firm but fine textured seedbed. Irrigate if rain is sparse during establishment. Buckwheat does poorly in soil that tends to stay wet. Sow 52 kg/ha (48 lbs/acre). ​300 seeds/gram Sow seed indoors in a soil-less mix 5 weeks before last frost date. Sow seed 6 mm (1/4") deep and keep at 20 C (70 F) for the 7-10 day germination period. Grow on at a slightly cooler temperature then harden off and plant outside in late May. Space plants 45 cm (18") apart in rows with the rows 75 cm (30") apart. 300 seeds/gram Sow seed indoors in a soil-less mix 5 weeks before last frost date. Sow seed 6 mm (1/4") deep and keep at 20 C (70 F) for the 7-10 day germination period. Grow on at a slighlty cooler temperature then harden off and plant outside in late May. Space plants 45 cm (18") apart in rows with the rows 75 cm (30") apart. 300 seeds/gram Sow seed indoors in a soil-less mix 5 weeks before last frost date. Sow seed 6 mm (1/4") deep and keep at 20 C (70 F) for the 7-10 day germination period. Grow on at a slightly cooler temperature then harden off and plant outside in late May. Space plants 45 cm (18") apart in rows with the rows 75 cm (30") apart. 850 seeds/gram Carrots will grow well in any open, well cultivated, deep garden soil. As the seed is quite small, mix it with some sand when sowing. Once soil temperature rises above 7.5 C (45 F), sow seed about 7-15 mm (1/4-1/2") deep in rows spaced 45-60 cm (18- 24") apart. Stagger several sowings over the next few weeks. Keep the seedbed evenly moist during the 2 week germination period but avoid crusting over the soil as this will greatly reduce the number of seedlings that emerge. Thin the seedlings during the early stages of growth until they are 5 cm (2") apart. Keep the plants evenly watered, weed free and avoid high nitrogen fertilizers. Harvest any time after the carrot roots develop good colour. Length of Row Packet: One packet sows approximately 10 m (33') of row. 850 seeds/gram Carrots will grow well in any open, wellcultivated, deep garden soil. As the seed is quite small, mix it with some sand when sowing. Once soil temperature rises above 7.5 C (45 F), sow seed about 7-15 mm (1/4-1/2") deep in rows spaced 45-60 cm (18- 24") apart. Stagger several sowings over the next few weeks. Keep the seedbed evenly moist during the 2 week germination period but avoid crusting over the soil as this will greatly reduce the number of seedlings that emerge. Thin the seedlings during the early stages of growth until they are 5 cm (2") apart. Keep the plants evenly watered, weed free and avoid high nitrogen fertilizers. Harvest any time after the carrot roots develop good colour. 850 seeds/gram Carrots will grow well in any open, well cultivated, deep garden soil. As the seed is quite small, mix it with some sand when sowing. Once soil temperature rises above 7.5 C (45 F), sow seed about 7-15 mm (1/4-1/2") deep in rows spaced 45-60 cm (18- 24") apart. Stagger several sowings over the next few weeks. Keep the seedbed evenly moist during the 2-3 week germination period. Avoid crusting over the soil as this will greatly reduce the number of seedlings that emerge. Thin the seedlings during the early stages of growth until they are 5 cm (2") apart. Keep the plants evenly watered, weed free and avoid high nitrogen fertilizers. Harvest any time after the carrot roots develop good colour. 350 seeds/gram Fertilize lightly & frequently, never let the plants lack for water. Seed can be sown directly in the garden in late spring. We suggest starting seed indoors 5 weeks before transplanting in late April/early May. When the heads start to form, we suggest gathering the large outer leaves and tying them over the “curd” to prevent colouring by sunlight. Harvest the head when it reaches 17-20 cm (7-8") in diameter - cut the entire head off using a sharp knife. 6 seeds/gram When planting in rows, space the seed 10-15 cm (4-6") apart, later thinning to 20-30 cm (8-12") apart with the rows 55-75 cm (22-30") apart. To ensure proper pollination, plant at least 3 to 4 rows. Corn can also be planted with 3 to 4 seeds per hill in hills spaced 30 cm (12") apart. Plant 250 gr (1/2 lb) to a 30 m (100') row; 4.5-6.8 kg (10-15 lbs) per acre. Work in a good general vegetable fertilizer at planting, keep weeds under control and the soil evenly watered through the season. Sow only when soils have warmed to 18 C. Some years this happens in mid May, other years we need to wait until late May or early June. 6 seeds/gram. When planting in rows, space the seed 10-15 cm (4-6") apart, later thinning to 20-30 cm (8-12") apart with the rows 55-75 cm (22-30") apart. To ensure proper pollination, plant at least 3 to 4 rows. Corn can also be planted with 3 to 4 seeds per hill in hills spaced 30 cm (12") apart. Plant 250 gr (1/2 lb) to a 30 m (100') row; 4.5-6.8 kg (10-15 lbs) per acre. Work in a good general vegetable fertilizer at planting, keep weeds under control and the soil evenly watered through the season. 35 seeds/gram Cucumbers grow best in a rich, warm, sandy loam soil. Before planting, work into the native soil 30 cm (12") deep large amounts of garden compost or composted manure. As cooler soil will reduce germination and increase the chance of the seed rotting before it sprouts, wait until the soil has reached a temperature of at least 18 C (66 F) before planting. Mound the soil up into hills about 15-20 cm (6-8 ") high and about 30-60 cm (12-24 ") across. Space the hills about 120 cm (4 ') apart. Sow the seed 2 cm (3/4 ") deep with 6 to 8 seeds per hill then after the seed sprouts, thin to 3 or 4 plants per hill. If you have limited space, most cucumbers grow on trellises. Protect the plants from any late spring/early summer frosts and keep the plants evenly watered through the growing season. Even soil moisture is very important as cucumbers become very bitter if the plant becomes moisture stressed by hot dry weather. To prevent damage to the plant, harvest the cucumbers by cutting them from the vine with a sharp knife - do not pull or twist them from the vine. 35 seeds/gram Cucumbers grow best in a rich, warm, sandy loam soil. Before planting, work into the native soil 30 cm (12") deep large amounts of garden compost or composted manure. As cooler soil will reduce germination and increase the chance of the seed rotting before it sprouts, wait until the soil has reached a temperature of at least 18 C (66 F) before planting. Mound the soil up into hills about 15-20 cm (6-8") high and about 30-60 cm (12-24") across. Space the hills about 120 cm (4') apart. Sow the seed 2 cm (3/4") deep with 6 to 8 seeds per hill then after the seed sprouts, thin to 3 or 4 plants per hill. If you have limited space, most cucumbers grow on trellises. Protect the plants from any late spring/early summer frosts and keep the plants evenly watered through the growing season. Even soil moisture is very important as cucumbers become very bitter if the plant becomes moisture stressed by hot dry weather. 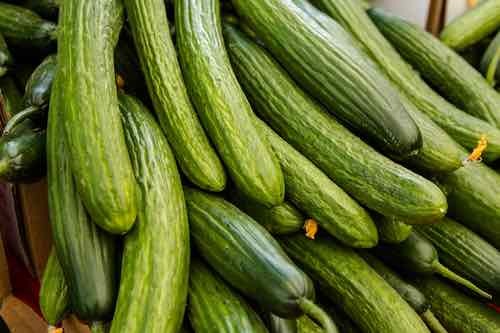 To prevent damage to the plant, harvest the cucumbers by cutting them from the vine with a sharp knife - do not pull or twist them from the vine. 35 seeds/gram Cucumbers grow best in a rich, warm, sandy loam soil. Before planting, work into the native soil 30 cm (12") deep large amounts of garden compost or composted manure. As cooler soil will reduce germination and increase the chance of the seed rotting before it sprouts, wait until the soil has reached a temperature of at least 18 C (66 F) before planting. Mound the soil up into hills about 15-20 cm (6-8") high and about 30-60 cm (12-24") across. Space the hills about 120 cm (4') apart. Sow the seed 2 cm (3/4") deep with 6 to 8 seeds per hill then after the seed sprouts, thin to 3 or 4 plants per hill. If you have limited space or wish to have the fruit as straight as possible, grow this cucumber on a trellis. Protect the plants from any late spring/early summer frosts and keep the plants evenly watered through the growing season. Even soil moisture is very important as cucumbers become very bitter if the plant becomes moisture stressed by hot dry weather. To prevent damage to the plant, harvest the cucumbers by cutting them from the vine with a sharp knife - do not pull or twist them from the vine. 35 seeds/gram This variety will grow best in a rich, warm, sandy loam soil. Before planting, work into the native soil 30 cm (12") deep large amounts of garden compost or composted manure. As cooler soil will reduce germination and increase the chance of the seed rotting before it sprouts, wait until the soil has reached a temperature of at least 18 C (66 F) before planting. Mound the soil up into hills about 15-20 cm (6-8") high and about 30-60 cm (12-24") across. Space the hills about 120 cm (4') apart. Sow the seed 2 cm (3/4") deep with 6 to 8 seeds per hill then after the seed sprouts, thin to 3 or 4 plants per hill. If you have limited space or wish to have the fruit as straight as possible, grow this variety on a trellis. Protect the plants from any late spring/early summer frosts and keep the plants evenly watered through the growing season. Even soil moisture is very important as the fruit will become very bitter if the plant becomes moisture stressed by hot dry weather. To prevent damage to the plant, harvest the fruit by cutting them from the vine with a sharp knife - do not pull or twist them from the vine. 35 seed/gram Cucumbers grow best in a wind-sheltered site with rich, warm sandy loam. Sow seed when the danger of frost has passed and when the soil has warmed up to at least 18 C (65 F) - cooler soils lead to poor germination. Sow seed 1.0 cm (3/4") deep with 8 seeds per hill in hills spaced 120-150 cm (4-5') apart. After germination, thin to 3-4 plants per hill. Harvest cucumbers by cutting them from the vine with a sharp knife. To get a jump on the season, start seed indoors in fibre pots 3 to 5 weeks before planting out. Do not plant out until early June to avoid cool nights and blossom end drop. Cucumbers are shallow rooted and need a consistent, even supply of water. Water is best applied early in the morning - this avoids creating favourable conditions for mildew on the foliage. Propagation: Start Indoors For Earlier Flowering or Sow Direct in Spring. Days to Emergence: 7 -10 Cold soil will delay or even prevent germination. 300 seeds/gram. These incredibly easy to grow annuals can be directly seeded in the garden in mid to late May. Sow 6 mm (1/4") deep, watering as necessary until germination occurs in roughly 7 days. Thin or transplant the seedlings when they are 5-8 cm (2-3") tall. For earlier blooms start seed indoors in a soil-less mix 6 weeks before planting out time. American & African types produce big, double blooms up to 15 cm (6") across on tall, sturdy stemmed plants. French types are refined, compact plants with numerous, smaller blossoms. Marigolds are superb for edging, mass plantings and window boxes. The unusual scent of marigolds seem to repel insects and are often planted in vegetable gardens for this reason. 3700 seeds/gram. This robust perennial will turn heads wherever planted and withstand more heat and drought than most. It is highly recommended to sow this type outdoors from September through October - select a site in full sun. This fall sowing allows any dormant seed to be naturally stratified over the winter. Seed can be started indoors in a soil-less mix from February to the beginning of March. Germinates at 20 C (70 F) in 14 to 21 days. Grow on under lights at a slightly cooler temperature before hardening off and transplanting outdoors to a sunny spot. 800 seeds/gram. For best results chill seed for 3 to 4 weeks at 5 C (40 F) prior to sowing. Start early indoors in a soil-less mix. Keep at 20-22 C (70-75 F) for the 21-25 day germination period then grow on under lights at a cooler temperature before hardening off and transplanting outside. 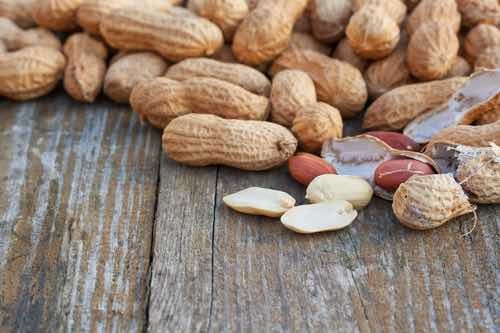 Seed can also be sown directly into the garden in June or again in August and early September for bloom the following year. Do not cover seed as light is beneficial for germination. Columbine prefers moist soil in light shade but will tolerate full sun except for hot, dry areas. Plant 30-45 cm (12-18") apart, feed monthly and keep well watered. Easy to grow. In late May, choose a sunny site with well draining soil and sow seed about 6-12 mm (1/4-1/2") deep and 7.5-10 cm (3-4") apart. Thin or transplant seedlings to 30-45 cm (12-18") apart. Seed can be started 2-3 weeks early indoors using plantable peat pots or Jiffy 7’s at 21 C (70 F). Harden off seedlings then transplant to a site in full sun. Keep plants evenly watered and fertilize twice during the season with a granular 15-5-15 or equivalent. Easy to grow. In late May, choose a sunny site with well draining soil and sow seed about 6-12 mm (1/4-1/2") deep and 7.5-10 cm (3-4") apart. Thin or transplant seedlings to 30-45 cm (12-18") apart. Seed can be started 2-3 weeks early indoors using plantable peat pots or Jiffy 7’s at 21 C (70 F). Plant in full sun, keep evenly watered and fertilize twice during the season with a granular 15-5-15 or equivalent. 265 seeds/gram. An outstanding perennial that is very easy to grow. Loves full sun but will tolerate partial shade. Attracts beneficial insects such as pollinators and butterflies. Seeds are an important late summer and early fall food source for Gold Finches. 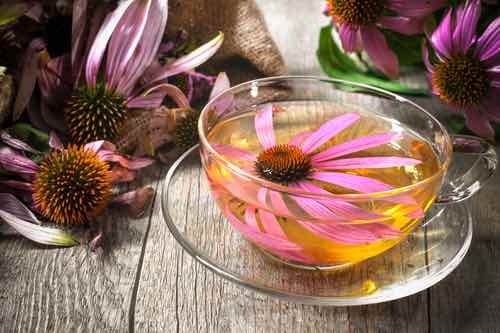 There is a rich folklore associated with Echinacea, attributing extracts of its roots with the ability to heal the common cold. This robust perennial will turn heads wherever planted and withstand more heat and drought than most. Sow outdoors September through October or start indoors Feb to Mar 1st for bloom the first season. Indoors use a soil-less growing medium and keep the container at 20-25 C (70-80 F) for the 10-15 day germination period. After germination grow on under lights at a slightly cooler temperature. When planting out after hardening off the seedlings, select a site in full sun with good air circulation. 800 seeds/gram Sow seed 3 mm (1/8") deep and 2.5 cm (1") apart directly outdoors in a sunny site with well drained soil in late May or in late August/early September in Zone 5 and up. Thin plants to 30 cm (12") apart in the garden. Seed can also be started indoors in a soil-less mix 10 weeks before last frost date. Keep at 21 C (70 F) for the 14-30 day germination period then grow on at a slightly cooler temperature before hardening off and transplanting outside after the danger of frost has passed. Please keep in mind that seed germination can be erratic. If you find the seeds dormant, try five weeks cold stratification at 4 C (40 F). Plants raised from seed are slightly variable in form and perfume. Select favoured plants for clonal propagation. Plants will need some winter protection at the northern end of its range. When pruning back dead wood, cut slightly into the living wood, towards the main stem. Prune up to a third of the plant away after flowering. Try rooted cuttings, root division and layering. Take stem cuttings in summer from non-flowering shoots and root in damp peat moss medium. 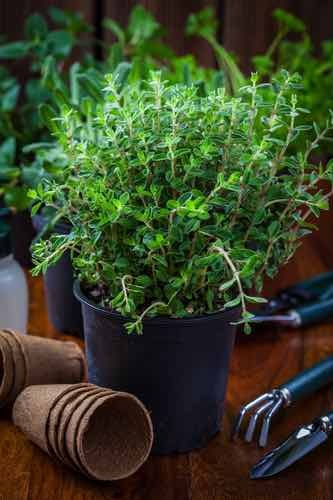 Over winter rooted cuttings in the cold-frame or a well ventilated indoor space in colder winter climates. Try layering in harsh climates. Transplanting divided roots in the fall works well in mild winter climates (Zones 7, 8). Hardy to Zone 5 with protection. Suggested uses: Potpourri. Pollinator, bee and wildlife garden plant. Dried flower arrangements. 35 seeds/gram Select a south facing, wind-sheltered site and sow 5 seeds 2.5 cm (1")deep per hill. Space hills 1.5-2 m (4-6') apart. Thin to 3 to 4 plants per hill. In short season areas, start seeds in peat/paper pots indoors 4 weeks before plant out time. Seeds need a warm soil to germinate properly. Do not sow into soil cooler than 21 C (70 F). 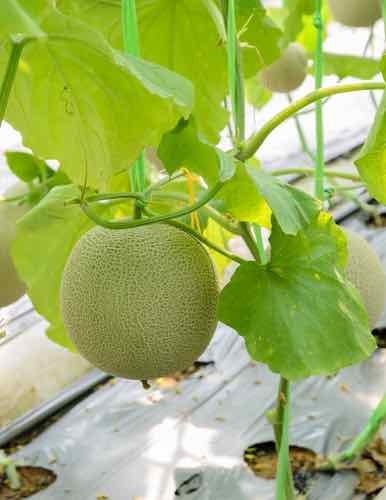 Keep the melon vines evenly watered throughout the growing season. 35 seeds/gram Select a south facing, wind-sheltered site and sow 5 seeds 2.5 cm (1") deep per hill. Space hills 1.5-2 m (4-6') apart. Thin to 3 to 4 plants per hill. In short season areas, start seeds in peat/paper pots indoors 4 weeks before plant out time. Seeds need a warm soil to germinate properly. Do not sow into soil cooler than 21 C (70 F). Keep the melon vines evenly watered throughout the growing season. 50 seeds/gram Sow seed directly outdoors in a sunny site with average soil in mid to late May or from mid August through to early September. Seed can also be started indoors in a soil-less mix 6-8 weeks before last frost date - use plantable peat or paper pots as lovage does not transplant well. Keep temperature at 21 C (70 F) for the 10-20 day germination period, then grow on at a slightly cooler temperature before hardening off and transplanting outside after the danger of frost has passed. Sow seed 6 mm (1/4") deep and 7.5 cm (3") apart then thin to 60-90 cm (24-36") apart in the garden. 840 seeds per gram Sow seed directly outdoors in a sunny site with average soil in mid to late May or in August through September. Sow seed 6 mm (1/4") deep and 2.5 cm (1") apart then thin to 10 cm (4") apart in the garden. Note that germination normally occurs within 14 days of sowing, however seed can sometimes take much longer to sprout, so be patient. 600 seeds/gram Do not rush planting as Basil loves warm soil and warm temperatures - they will languish if temperatures are below 15 C (60 F). Sow seed directly outdoors in a sunny site with average soil in late May and June. Plant seed 4 mm (3/16") deep and 6 mm (1/4") apart. Thin to 25-30 cm (10-12") apart in the garden. Seed can also be started indoors in a soil-less mix 4-6 weeks before last frost date. Keep temperature at 21 C (70 F) for the 7-10 day germination period, then grow on at the same temperature before hardening off and transplanting outside after the danger of all frost has passed. 3200 seeds/gram Sow seed directly outdoors in a sunny site with average soil in late May to mid-June. Seed can also be started indoors in a soil-less mix 6-8 weeks before last frost date. Keep temperature at 21 C (70 F) for the 7-14 day germination period, then grow on at a slightly cooler temperature before hardening off and transplanting outside after the danger of frost has passed. Sow seed 6 mm (1/4") deep and 6 mm(1/4") apart then thin to 12.5 cm (5") apart in the garden. 65 seed per gram. Sow seed directly outdoors after danger of frost has passed and cover with a fine sifting of soil. Grow as a short term transplant to avoid bolting. Sequentially sow seeds for a steady supply of transplants through the summer. Seed generally germinates in 5-7 days. Transplant seedlings 10-12 days later, at least 30 cm apart. Leaves can then be used as you wish 25-30 days after transplanting. Suggested uses: Leaves are essential in Chinese and Latin cuisine. over a tray or bag to collect the mature seed as it falls out. Suggested uses: Pollinator and beneficial insect plant, aromatic leaves, seed is used for flavouring. 1400 seeds/gram Sow the seed directly into the garden in a sunny site with fast draining soil from mid-April through to late May. Plant seed 6 mm (1/4") deep and 6 mm (1/4") apart then thin to 20-30 cm (8-12") apart in the garden. Transplanting is challenging as plants are loath to accept root disturbance. Sow seeds where you want the plant to establish. Once flowering is imminent, shear plants closely and they will supply a new flush of leaves. 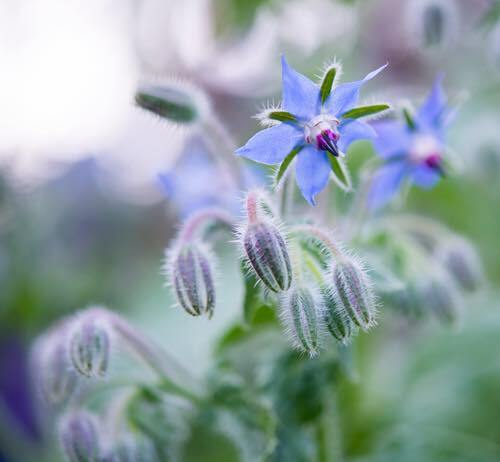 Sow seed outdoors in mid to late May, then every two weeks through August, or start them inside and transplant after the danger of frost has passed. Basil can be grown indoors on a sunny window or under lights during the winter. 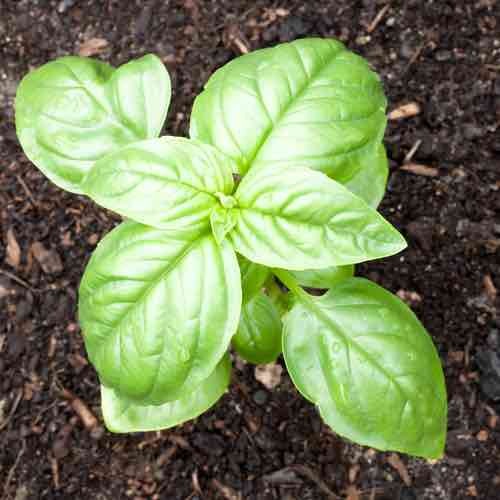 Indoor Basil plants are not long lived nor do they produce significantly. Indoor plants tend to be lanky and produce smaller leaves. Outdoors, Basil is a low maintenance plant & prolific-- all you really need to do is provide water when necessary. 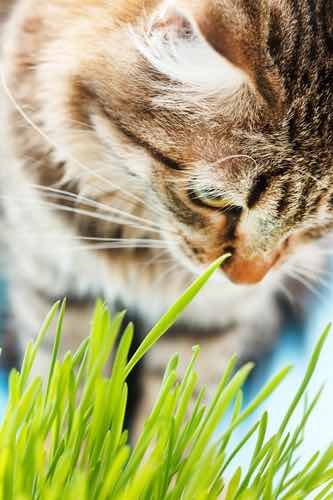 Lightly feed with a general-purpose fertilizer as too much can adversely affect the production of the essential oils responsible for flavour and aroma. Basil plants are grown for their leaves and flower clusters. 600 seeds/gram Do not rush planting as Basil loves warm soil and warm temperatures - they will languish if temperatures are below 15 C (60 F). Sow seed directly outdoors in a sunny site with average soil in late May and June. Plant seed 4 mm (3/16") deep and 6 mm (1/4") apart. Thin to 20-25 cm (8-10") apart in the garden. Seed can also be started indoors in a soil-less mix 4-6 weeks before last frost date. Keep temperature at 21 C (70 F) for the 7-10 day germination period, then grow on at the same temperature before hardening off and transplanting outside after the danger of all frost has passed. 2800 seeds/gram Sow seed directly outdoors in a sunny site with average soil in mid to late May or again in mid-August through to mid-September. In spring, seed can also be started indoors on the surface of a soil-less mix 8-10 weeks before last frost date. Keep temperature at 21 C (70 F) for the 10-20 day germination period, then grow on under drier conditions at a slightly cooler temperature before hardening off and transplanting outside after the danger of frost has passed. Sow seed no more than 3 mm (1/8") deep and 2.5 cm (1") apart then thin the sprouts to 20 cm (8") apart in the garden. Suggested uses.Used extensively with roasted meat dishes. Ornamental ground cover for sunny drier areas. 7000 seeds/gram Sow seed directly outdoors in a sunny site with average soil in mid to late May or again in mid-August through to mid-September. In spring, seed can also be started indoors in a soil-less mix 6-8 weeks before last frost date. Keep temperature at 21 C (70 F) for the 7-14 day germination period, then grow on at a slightly cooler temperature before hardening off and transplanting outside after the danger of frost has passed. Sow seed 6 mm (1/4") deep and 3 mm (1/8") apart then thin to 20 cm (8") apart in the garden. 40 seeds per gram. Sow seed directly outdoors in a sunny site with average soil in mid to late May. Plant seed 3 mm (1/8") deep and 2.5 cm (1") apart. Thin seedlings to 30 cm (12") apart. Seed can also be started indoors in a soil-less medium 4-6 weeks before last frost date. Keep temperature at 20 C (70 F) for the 7-10 day germination period then grow on at a slightly cooler temperature before hardening off and planting out after the danger of frost has passed. 530 seeds/gram Germination is hastened by first soaking seed in water overnight. After soaking, sow seed 6 mm (1/4") deep in rows 40 cm (16") apart. Be patient. Parsley takes up to three weeks to sprout. Keep the seedbed evenly moist but avoid crusting over the soil as this will greatly reduce the number of seedlings that emerge. Mulching the seed bed aids germination. Thin seedlings to 10 cm (4") apart after germination. Keep parsley well weeded. One packet sows approximately 6 m (20’) of row. Length of Row Packet: One packet sows approximately 6 m (20') of row. 9600 seeds/gram Sow seed directly outdoors in a sunny site with average soil in mid to late May - do not cover the seed. Seed can also be started indoors in a soil-less mix 6-8 weeks before last frost date. Keep temperature at 21C (70F) for the 7-10 day germination period, then grow on at a slightly cooler temperature before hardening off and transplanting outside after the danger of frost has passed. Sow seed 3mm (1/8") deep and 2.5cm (1") apart then thin to 15cm (6") apart in the garden. Prefers well drained to sandy soils in full sun. Suggested uses: Flowers are used for teas, perfumes and potpourris. 8400 seeds per gram. Start seed indoors in a soil-less medium about 10-12 weeks before your last frost date. Barely cover the seed and keep at 27-30C (80-85F) for the 30 day germination period. Applying bottom heat to the growing medium at this time is highly beneficial. After germination, grow on under lights at a slightly cooler temperature - keep the growing medium on the drier side from the time you see the seeds sprout right up to moving them outside. Harden off and move young plants outside to a sunny site after all danger of frost has passed. Plants must be brought inside to overwinter safely in most parts of Canada. When overwintering plants indoors, place them in a bright but cool location (13-18C) and make a habit of heavily misting the foliage once a day. Suggested uses.Important component in poultry stuffing. Lamb and pork dishes. Beautiful container plant for a sunny patio or deck. Indoor plant. 100 seeds/gram Sow seed directly outdoors in a sunny site with average soil in mid to late May. In zones 6 and up, sow again in mid-August through to mid-September. In spring, seed can also be started indoors in a soil-less mix 6-8 weeks before last frost date. Keep temperature at 21C (70F) for the 14-21 day germination period, then grow on at a slightly cooler temperature before hardening off and transplanting outside after the danger of frost has passed. Sow seed 6mm (1/4") deep and 2cm (3/4") apart then thin the sprouts to 60-90cm (24-36") apart in the garden. 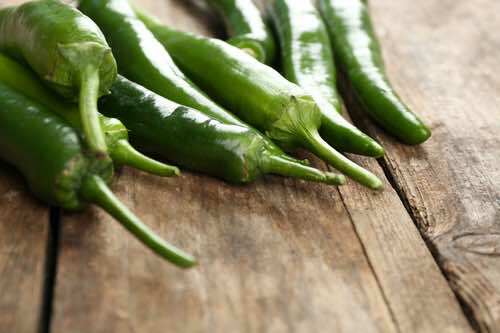 Suggested uses: Flavouring in meat, poultry, omelets and cheese dishes, Soups, Container plant. 280 seeds/gram Sow seed directly outdoors in a sunny site with average soil in mid to late May. Seed can also be started indoors in a soil-less mix 8 weeks before last frost date. Keep temperature at 21 C (70 F) for the 10-14 day germination period, then grow on at a slightly cooler temperature before hardening off and transplanting outside after the danger of frost has passed. Sow seed 3 mm (1/8") deep and 2.5 cm (1") apart then thin to 25-30 cm (10-12") apart in the garden. It is our experience that direct sowing works best with fennel. 840 seeds/gram Sow seed directly outdoors in a sunny site with average soil in mid to late May or in August through September. Sow seed 6 mm (1/4") deep and 2.5 cm (1") apart then thin to 10 cm (4") apart in the garden. Note that germination normally occurs within 14 days of sowing, however seed can sometimes take much longer to sprout, so be patient. 1600 seeds per gram. Sow seed directly outdoors in late May or again in late August/early September in a sunny spot with average soil. Plant seed 4 mm (3/16") deep and 6 mm (1/4") apart then thin to 30 cm (12") apart. Seed can be started indoors in a soil-less mix 6-8 weeks before last frost date. Keep at 20 C (70 F) for the 10-14 day germination period, then grow on at a slightly cooler temperature before hardening off and planting out after the danger of frost has passed. 10,500 seeds/gram Sow seed directly outdoors in a sunny site with average soil in mid to late May or again in mid-August through to mid-September. In spring, seed can also be started indoors in a soil-less mix 6-8 weeks before last frost date. Keep temperature at 21 C (70 F) for the 7-14 day germination period, then grow on at a slightly cooler temperature before hardening off and transplanting outside after the danger of frost has passed. Sow seed 3 mm (1/8") deep and 1.25 cm (1/2") apart then thin the sprouts to 10 cm (4") apart in the garden. 210 seed/gram Sow seed directly outdoors in a sunny site with well drained soil in mid May to early June. Plant seed 6 mm (1/4") deep and 2.5 cm (1") apart in the row with rows 45 cm (18") apart. Thin to 20 cm (8") in the row. Seed can be started indoors in a soil-less mix 4-5 weeks before last frost. Keep at 20 C (70 F) for the 14 day germination period then grow on at a slightly lower temperature, harden off and plant ouside after the danger of frost has passed. Harvest seed after flowers have dried and seeds are greyish-brown. Harvest leaves for use anytime! 400 seeds/gram Sow seed 1 cm (1/2") deep directly outdoors in early spring or from June to early July in rows 60 cm (24") apart. Thin seedlings to 30 cm (12") apart. 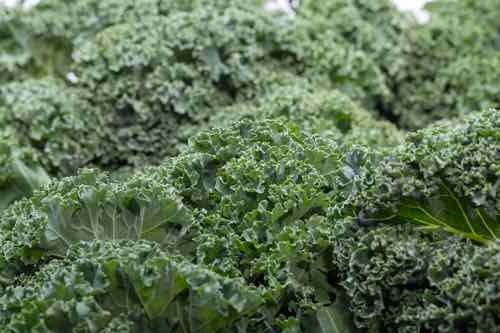 Kale is very cold tolerant and develops its best flavour after the fall frosts. 880 seeds/gram Lettuce is a sun-loving cool weather crop that grows best in organic, well drained soil. Sow as soon as the soil can be worked in the spring, then every two weeks thereafter to ensure a continuous supply. Sow about 3 mm (1/8") deep in rows 45 cm (18") apart. An even supply of moisture during the entire growth period is imperative for success. Harvest leaf lettuce by either pulling the entire plant or by cutting leaves from the main stem at least 2.5 cm (1") above the base – this will allow the plant to sprout new leaves. Harvest head lettuce by cutting the head off at the base just below the lower leaves. Once lettuce bolts (starts to produce a rapidly growing flower stem) leaves become bitter. Length of Row Packet: One packet sows approximately 6m (20') of row. Culture: Mesclun mixes are sun-loving cool weather crops that grow best in organic, well drained soil. Sow as soon as the soil can be worked in the spring, then every two weeks thereafter to ensure a continuous supply. Sow about 3 mm (1/8") deep in rows 45 cm (18") apart. An even supply of moisture during the entire growth period is imperative for success. Harvest by either pulling the entire plant or by cutting leaves from the main stem at least 2.5 cm (1") above the base – this will allow the plant to sprout new leaves. Once plants start to bolt (produce rapidly growing flower stems), leaves become bitter. 540 seeds/gram Sow seed directly outdoors in a sunny site with average soil in mid to late May. Seed can also be started indoors in a soil-less mix 4-6 weeks before last frost date. Keep temperature at 21 C (70 F) for the 5-10 day germination period, then grow on at a slightly cooler temperature before hardening off and transplanting outside after the danger of frost has passed. Sow seed 3 mm (1/8") deep and 2.5 cm (1") apart then thin to 30 cm (12") apart in the garden. 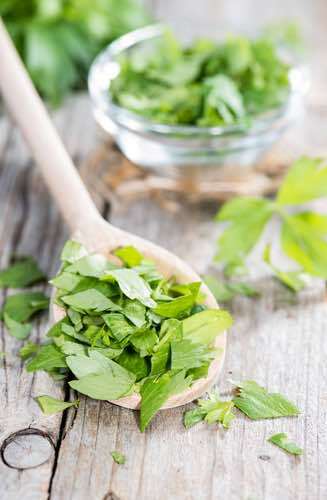 Suggested uses: Leaves are very popular in salads or cooked like spinach. 880 seed/gram While lettuce is fairly adaptable, it will make its best growth on organic, well-drained soils in sunny locations. Since lettuce is a cool weather crop, sow seed as soon as the soil can be worked in the spring then every two weeks thereafter to ensure a continuous supply. Sow seed about 3 mm (1/8") deep in rows 45 cm (18") apart. Lettuce can also be sown in blocks or squares as opposed to rows. Thin heading lettuce to 30 cm (12") spacing. An even supply of moisture during the entire growth period is imperative for success. 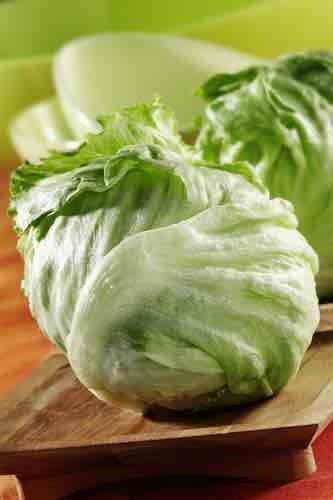 Harvest head lettuce by cutting the head off at the base just below the lower leaves. Once lettuce bolts (starts to produce a rapidly growing flower stem) leaves will become bitter. 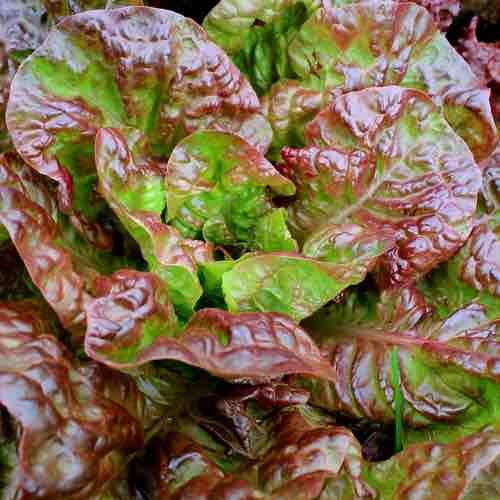 880 seeds/gram Lettuce is a sun-loving cool weather crop that grows best in organic, well drained soil. Sow as soon as the soil can be worked in the spring, then every two weeks thereafter to ensure a continuous supply. Sow about 3 mm (1/8") deep in rows 45 cm (18") apart. Gradually thin seedlings to 30cm (12") apart. An even supply of moisture during the entire growth period is imperative for success. Harvest head lettuce by cutting the head off the base just below the lower leaves. Once lettuce bolts (starts to produce a rapidly growing flower stem) leaves become bitter. Sow seed 12 mm (1/2") deep and 2.5 cm (1") apart in rows 30-45 cm (12- 18") apart as soon as the soil can be worked in the spring and every two weeks after that until late spring. Thin to 5-7.5 cm (2-3") after germination - this is the secret to the best crops. Sow again in mid to late August for fall crops. Top-dress with compost, after seedlings are well established. 550 seeds/gram Similiar to growing heading type lettuce. Plant seed in successive crops every 2 weeks from April to mid June as long as weather is cool. Sow seed 3 mm (1/8") deep and 2.5 cm (1") apart with the rows 40 cm (16") apart. Thin to 30 cm (12") apart. Keep evenly watered as water stress can lead to premature bolting and leaf bitterness. Fall crops can be attempted by seeding in mid to late August. This is a challenging plant to grow. 450 seeds/gram Similar to other members of the brassica family. Sow seeds in early spring or in mid August about 2.5 cm (1") apart and 8-15 mm (1/4-1/2") deep in rows 60 cm (24"). 880 seed/gram While lettuce is fairly adaptable, it will make its best growth on organic, well-drained soils in sunny locations. Since lettuce is a cool weather crop, sow seed as soon as the soil can be worked in the spring then every two weeks thereafter to ensure a continuous supply. Sow seed about 3 mm (1/8") deep in rows 45 cm (18") apart. Lettuce can also be sown in blocks or squares as opposed to rows. Thin heading lettuce to 30 cm (12") spacing. An even supply of moisture during the entire growth period is imperative for success. Harvest head lettuce by cutting the head off at the base just below the lower leaves. Once lettuce bolts (starts to produce a rapidly growing flower stem) leaves will become bitter. Days to Harvest: 65 days. 280 seeds/gram Seed can be started indoors in a soil-less growing medium in February. The seedlings can then be transplanted outside later in spring. Seed can also be sown directly outdoors from mid April, 8-15 mm (1/4-1/2")deep and 15 mm (1/2") apart in rows 30 cm (12") apart. Thin to 5 cm (3") apart for cooking onions, and 7.5 cm (3") apart for the sweet Spanish types. Onions do best in a sunny site with fertile, well drained soil. Bend over any flower stalks that start to grow so the plant's energy goes into building the bulb. One packet sows approximately 6 m (20’) of row. 280 seeds/gram Seed can be started indoors in a soil-less growing medium in February. The seedlings can then be transplanted outside later in spring. Seed can also be sown directly outdoors from mid April, 8-15 mm (1/4-1/2") deep and 15 mm (1/2") apart in rows 30 cm (12") apart. Thin to 5 cm (3") apart for cooking onions, and 7.5 cm (3") apart for the sweet Spanish types. Onions do best in a sunny site with fertile, well drained soil. Bend over any flower stalks that start to grow so the plant's energy goes into building the bulb. One packet sows approximately 6m (20’) of row. 280 seeds/gram Seed can be started indoors in a soil-less growing medium in February. The seedlings can then be transplanted outside later in spring. Seed can also be sown directly outdoors from mid April, 8-15 mm (1/4-1/2") deep and 15 mm (1/2") apart in rows 30 cm (12") apart. Thin to 5 cm (3") apart for cooking onions, and 7.5 cm (3") apart for the sweet Spanish types. Onions do best in a sunny site with fertile, well drained soil. Bend over any flower stalks that start to grow so the plant's energy goes into building the bulb. One packet sows approximately 6 m (20’) of row. 280 seeds/gram Seed can be started indoors in a soil-less growing medium in February. The seedlings can then be transplanted outside later in spring. Seed can also be sown directly outdoors from mid April, 8-15 mm (1/4-1/2")deep and 15 mm (1/2") apart in rows 30 cm (12") apart. Thin to 5 cm (3") apart for cooking onions, and 7.5 cm (3")apart for the sweet Spanish types. 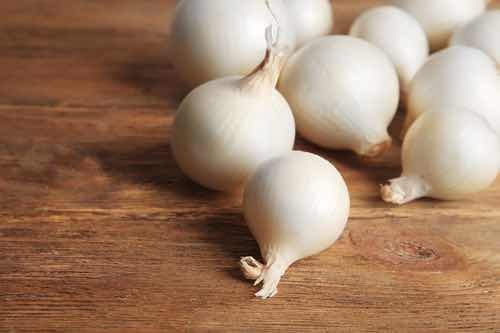 Onions do best in a sunny site with fertile, well drained soil. Bend over any flower stalks that start to grow so the plant's energy goes into building the bulb. One packet sows approximately 6m (20’) of row. 315 seeds/gram Leeks are a long season plant so start seed indoors in February and early March. Sow the seed 7 mm (1/4") deep in a soil-less medium and keep at 20 C (68 F) during germination and growth. Transplant seedlings outside later in the spring when they are around 20cm (8") tall. Space the transplants 10-15 cm (4-6") apart in rows 30-45 cm (12-18") apart. Seed can also be sown directly into the garden in April through June. 200 seeds/gram Culture is very similiar to carrots. Sow seed about 2.5 cm (1") apart and 6-12 mm (1/4-1/2") deep in rows 45-60 cm (18-24") apart. Keep soil evenly moist during the 3 week germination period but avoid crusting over the soil as this will greatly reduce the number of seedlings that emerge. Once seedlings have reached 5-7.5 cm (2-3") in height, thin them to 7.5 cm (3") apart in the row. Parsnips do best in deep, friable soil that has had any rocks, stones or hard lumps removed (all these can cause the roots to branch out or fork should they come into contact). Dig roots in the fall and early winter after cold has brought out the best flavour. Length of Row Packet: One packet sows approximately 3 m (10') of row. 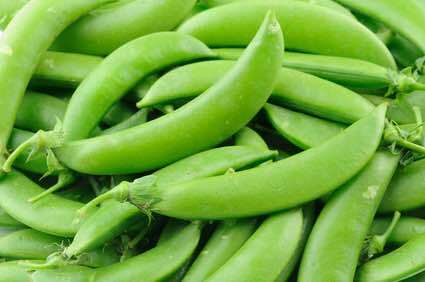 1-3 seed/gram Peas are a cool weather crop and can be sown from early April through to mid- May when the soil temperature is between 10-16 C (50-60 F). Fall crops are possible in hardiness zones 6 & 7. Sow in double rows spaced 25 cm (10") with the seed 6.5 cm (2.5") apart within the row and 1.25-2.5cm (1/2-1") deep. Space each set of double rows 75 cm (2.5') apart. 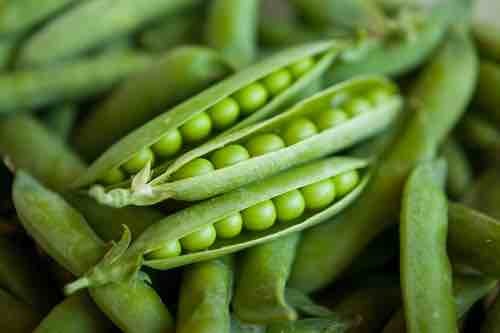 Peas can also be sown in blocks 120 cm (48") square with the seeds spaced 6.5 cm (2.5") apart within the block. Sow successive crops 10-14 days apart for extended harvests. Keep the soil evenly moist during the germination period or emergence will be spotty. You can stake or support row planted bush varieties for easier picking – climbing varieties definitely need to be supported. Avoid the use of high nitrogen fertilizers. Once flowering starts, it is important to keep the plants well watered to produce a good harvest. As the pods mature, pick daily to enjoy their peak flavour and to encourage more pods to form. Careful cultivation between rows is recommended to increase harvest yield. Removing clover and other non-crop legumes from the vicinity of the pea crop will reduce pest problems. 1-3 seed/gram Peas are a cool weather crop and can be sown from early April through to mid- May when the soil temperature is between 10-16 C (50-60 F). Fall crops are possible in hardiness zones 6 & 7. Sow in double rows spaced 25 cm (10") with the seed 6.5 cm (2.5") apart within the row and 1.25-2.5 cm (1/2-1") deep. Space each set of double rows 75 cm (2.5') apart. Peas can also be sown in blocks 120 cm (48") square with the seeds spaced 6.5 cm (2.5") apart within the block. Sow successive crops 10-14 days apart for extended harvests. Keep the soil evenly moist during the germination period or emergence will be spotty. Avoid the use of high nitrogen fertilizers. Once flowering starts, it is important to keep the plants well watered to produce a good harvest. As the pods mature, pick daily to enjoy their peak flavour and to encourage more pods to form. Careful cultivation between rows is recommended to increase harvest yield. Removing clover and other non-crop legumes from the vicinity of the pea crop will reduce pest problems. 1/3 seed/gram Peas are a cool weather crop and can be sown from early April through to mid- May when the soil temperature is between 10-16 C (50-60 F). Fall crops are possible in hardiness zones 6 & 7. Sow in double rows spaced 25 cm (10") with the seed 6.5 cm (2.5") apart within the row and 1.25-2.5 cm (1/2-1") deep. Space each set of double rows 75 cm (2.5') apart. Peas can also be sown in blocks 120 cm (48") square with the seeds spaced 6.5 cm (2.5") apart within the block. Sow successive crops 10-14 days apart for extended harvests. Keep the soil evenly moist during the germination period or emergence will be spotty. You can stake or support row planted bush varieties for easier picking – climbing varieties definitely need to be supported. Avoid the use of high nitrogen fertilizers. Once flowering starts, it is important to keep the plants well watered to produce a good harvest. As the pods mature, pick daily to enjoy their peak flavour and to encourage more pods to form. Careful cultivation between rows is recommended to increase harvest yield. Removing clover and other non-crop legumes from the vicinity of the pea crop will reduce pest problems. 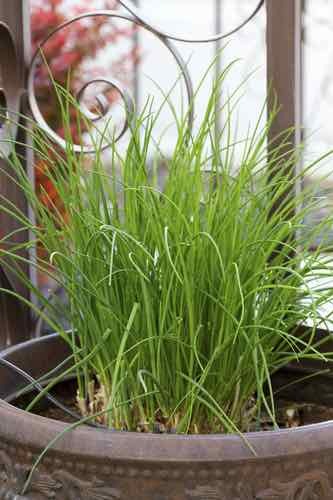 Catgrass should be started in pots in indirect sunlight rather than in a sunny window. This ensures steady growth without the soil drying out. Spinkle seed on top of the soil and cover with a fine sifting of the same material. Mist regularly until germination occurs, then water from the bottom if possible. Re-sow as required. Pumpkin is a hot weather crop. They need full sun and deep, rich, well drained, organic soil with a pH of 5.5 to 6.5. Before planting, work in lots of compost. Sow seed directly outdoors in late May through early June 2.5 cm (1") deep in hills 2.4 m (8') apart with 4-6 seeds per hill. After germination, thin to 3 plants per hill. Seed can be started indoors 3 weeks before the plant out date. Pumpkins do not transplant well--use paper or fibre pots that can be set directly in the soil. For competition sized pumpkins, allow only two pumpkins per plant to mature. Protect mature pumpkins from frost and cold temperatures. Pumpkin is a hot weather crop. They need full sun and deep, rich, well drained, organic soil with a pH of 5.5 to 6.5. Before planting, work in lots of compost. Sow seed directly outdoors in late May through early June 2.5 cm (1") deep in hills 2.4 m (8') apart with 4-6 seeds per hill. After germination, thin to 3 plants per hill. Seed can be started indoors 3 weeks before the plant out date. 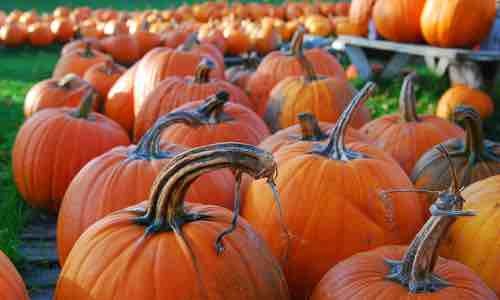 Pumpkins do not transplant well--use paper or fibre pots that can be set directly in the soil. Protect mature pumpkins from frost and cold temperatures. Pumpkin is a hot weather crop. They need full sun and deep, rich, well drained, organic soil with a pH of 5.5 to 6.5. Before planting, work in lots of compost. Sow seed directly outdoors from late May through early June 2.5 cm (1") deep in hills 2.4 m (8') apart with 4-6 seeds per hill. After germination, thin to 3 plants per hill. Seed can be started indoors 3 weeks before the plant out date. Pumpkins do not transplant well--use paper or fibre pots that can be set directly in the soil. For competition sized pumpkins, allow only two pumpkins per plant to mature. Protect mature pumpkins from frost and cold temperatures. Pumpkin is a hot weather crop. They need full sun and deep, rich, well drained, organic soil with a pH of 5.5 to 6.5. Before planting, work in lots of compost. Directly plant seed outdoors in late May to June 2.5 cm (1") deep in hills 2.4 m (8') apart with 4-6 seeds per hill. After germination, thin to 3 plants per hill. Seed can be started indoors 3 weeks before the plant out date. Pumpkins do not transplant well--use paper or fibre pots that can be set directly in the soil. Protect mature pumpkins from frost and cold temperatures. Sow pumpkin seed directly into the garden after the soil has warmed sufficiently - this normally occurs from very late May through June. Make 4 separate 2.5 cm (1") deep holes per hill and plant two seed in each hole - space hills about 2 m (6') apart. Remove the smaller seedling from each pair after germination. Seed can also be started indoors 3 weeks early. Use soil-less growing mix and plantable peat or paper fibre containers as pumpkins do not like to have their roots disturbed when transplanting. Feed plants regularly with compost and dilute soluble fertilizer and keep the ground evenly watered for best growth. For the biggest pumpkins, allow only one or two to form on a single vine - remove any others that start to form on the same vine after that. Days to Emergence: 5-8 days in warm soils. Cold slow will slow or even prevent germination. Days to Harvest: Depending on growing season, up 120 days. Atlantic Giant is a one of a kind behemoth. We make our soil pile 2 to 3 feet tall in a direct sun location. These are good to start indoors around March and transplant outside after last frost. If you transplant early make sure you construct a mini greenhouse to go over the plant to protect from cooler weather. This variety loves loads of manure and water! 90-100 seeds/gram Sow early varieties in a sunny site as soon as the ground is workable in the spring. 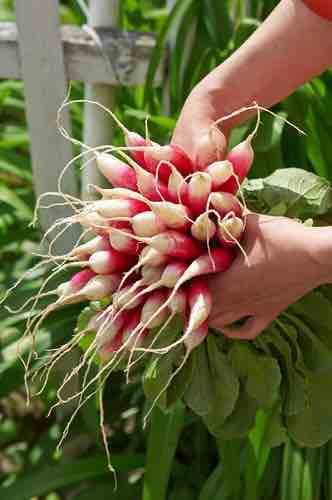 Winter radishes are generally sown in mid-summer. Sow seed every two weeks 12 mm (1/2") deep and about 2.5 cm (1") apart in rows about 30 cm (12") apart. Keep soil evenly moist during germination and growth. Harvest in 3-4 weeks when the roots have reached the size of a large marble. One packet sows approximately 6 m (20’) of row. Plant seed every two weeks starting in mid July and ending in mid to late August. Sow seed 1 cm (1/2") deep and 2.5 cm (1") apart in rows spaced 30 cm (12") apart. Thin seedlings to 10 cm (4") apart in the row. When harvesting roots, first use a digging fork to loosen the soil around roots then gently pull the plant from the loose ground by gripping the leaves as to the top of the roots as possible. 90-100 seeds/gram Sow in a sunny site as soon as the ground is workable in the spring. Sow seed every two weeks 12 mm (1/2") deep and about 2.5 cm (1") apart in rows about 30 cm (12") apart. Keep soil evenly moist during germination and growth. Harvest in 3-4 weeks when the roots have reached the size of a large marble. 10-12 seeds per gram. Green Hubbard Squash is a hot weather crop. Needs full sun and deep, rich, well drained, soil with a pH of 5.5 to 6.5. Before planting, work in lots of compost. Directly plant seed outdoors from late May to mid June 2.5 cm (1") deep in hills 2.4 m (8') apart with 4-6 seeds per hill. After germination, thin to 3 plants per hill. Can be started indoors 3 weeks before outdoor planting date. Squash do not transplant well--use paper or fibre pots that can be set directly in the soil. Protect mature squash from frost and cold temperatures. 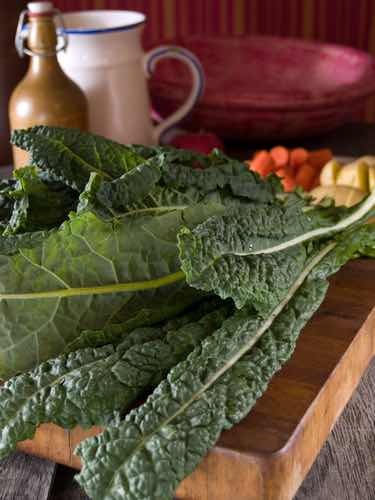 Chard grows best in well drained soils with a pH of 6.5 to 7.5. Sow seed about 1- 2 cm (1/2-3/4") deep and 2.5 cm (1") apart in rows 45cm (18") apart starting in mid spring. Sowing every two weeks until early summer will ensure continuous supply. Gradually thin out to 10 cm (4") apart using the thinnings as baby greens. Harvest outer leaves first by cutting at the base of the stem then working towards the centre as you go. One packet sows approximately a 6 m (20’) row. 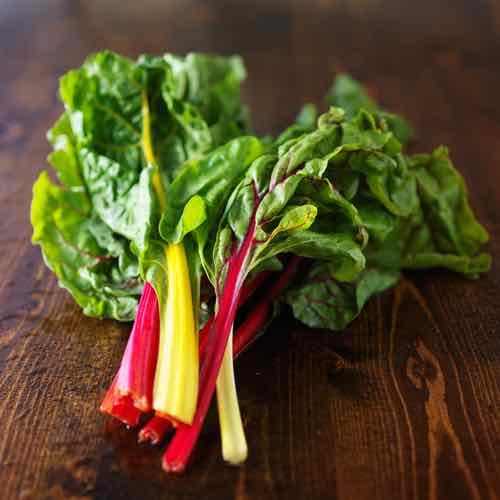 Chard grows best in well drained soils with a pH of 6.5 to 7.5. Sow seed about 1- 2 cm (1/2-3/4") deep and 2.5 cm (1") apart in rows 45 cm (18") apart starting in mid spring. Sowing every two weeks until early summer will ensure continuous supply. Gradually thin out to 10 cm (4") apart using the thinnings as baby greens. Harvest outer leaves first by cutting at the base of the stem then working towards the centre as you go. One packet sows approximately a 6 m (20’) row. 350 seeds/gram Sow seeds indoors about 6-8 weeks before last spring frost date – use a peat moss based growing mix for germination and growing seedings. The temperature of the seeding mix should be 21-24 C (70 - 75 F) for prompt germination. When the seedlings are 4 cm (1.75") high, transplant each into individual peat pots – reducing temperature to 15–18 C (59 - 65 F) until planting in the garden late May. After hardening off, transplant into well-drained organic soil 60 cm (24") apart for determinate varieties and 90 cm (36") apart for indeterminate varieties. Tomatoes need warmth, direct sunlight & a steady supply of water. Keep plants well-watered Apply the water to the soil rather than showering down over the plants. Rotate the crop position in the garden every year. Wait three years to use the same patch in the garden. Dig out and discard diseased plants. Do not compost. It is also very important to keep plants evenly watered as fluctuations in available soil moisture can lead to a host of problems such as fruit cracking or splitting, irregular fruiting and increasing the chance of blossom end rot developing. Apply a mulch of straw around plants to protect them from soil borne diseases and to help conserve soil moisture. 350 seeds/gram Sow seeds indoors about 6-8 weeks before last spring frost date – use a peat moss based growing mix for germination and growing seedings. The temperature of the seeding mix should be 21-24 C (70 - 75 F) for prompt germination. When the seedlings are 4 cm (1.75")high, transplant each into individual peat pots – reducing temperature to 15–18 C (59 - 65 F) until planting in the garden late May. After hardening off, transplant into well-drained organic soil 60 cm (24") apart for determinate varieties and 90 cm (36") apart for indeterminate varieties. Tomatoes need warmth, direct sunlight & a steady supply of water. Keep plants well-watered Apply the water to the soil rather than showering down over the plants. Rotate the crop position in the garden every year. Wait three years to use the same patch in the garden. Dig out and discard diseased plants. Do not compost. It is also very important to keep plants evenly watered as fluctuations in available soil moisture can lead to a host of problems such as fruit cracking or splitting, irregular fruiting and increasing the chance of blossom end rot developing. Apply a mulch of straw around plants to protect them from soil borne diseases and to help conserve soil moisture. 350 seeds/gram Sow seeds indoors about 6-8 weeks before last spring frost date – use a peat moss based growing mix for germination and growing seedings. The temperature of the seeding mix should be 21-24 C (70 - 75 F) for prompt germination. When the seedlings are 4cm (1.75") high, transplant each into individual peat pots – reducing temperature to 15–18 C (59 - 65 F) until planting in the garden late May. After hardening off, transplant into well-drained organic soil 60 cm (24") apart for determinate varieties and 90 cm (36") apart for indeterminate varieties. Tomatoes need warmth, direct sunlight & a steady supply of water. Keep plants well-watered Apply the water to the soil rather than showering down over the plants. Rotate the crop position in the garden every year. Wait three years to use the same patch in the garden. Dig out and discard diseased plants. Do not compost. It is also very important to keep plants evenly watered as fluctuations in available soil moisture can lead to a host of problems such as fruit cracking or splitting, irregular fruiting and increasing the chance of blossom end rot developing. Apply a mulch of straw around plants to protect them from soil borne diseases and to help conserve soil moisture. 350 seed/gram Sow seeds indoors about 6-8 weeks before your last spring frost date – use a soil-less growing mix for germinating and growing seedlings indoors. The temperature of the seeding mix should be 21-24 C (70-75 F) for prompt germination. When the seedlings are 4 cm (1.75") high, transplant each into individual peat pots, reduce temperature to 15–18 C (59-65 F) and grow on under lights until hardening off and planting in the garden in late May. Transplant into well-drained organic soil 60 cm (24") apart for determinate varieties and 90 cm (36") apart for indeterminate varieties. Tomatoes need warmth, direct sunlight & a steady supply of water. Keep plants well-watered and apply the water to the soil rather than showering down over the plants. Rotate the crop position in the garden every year and wait three years before using the same patch again for tomatoes. A the end of the season dig out and discard diseased plants - do not compost them. It is also very important to keep plants evenly watered as fluctuations in available soil moisture can lead to a host of problems such as fruit cracking or splitting, irregular fruiting and increasing the chance of blossom end rot developing. Apply a mulch of straw around plants to protect them from soil borne diseases and to help conserve soil moisture. 400 seeds/gram Similar in culture to other members of the brassica family. Sow seed in mid-spring 2-2.5 cm (3/4-1") deep and 2.5 cm (1") apart in rows 30 cm (12") apart. Thin to 12.5 cm (5") apart after germination. Harvest when the roots are 7.5-10 cm (3-4") across. Not to be confused with the Rutabaga or Swede. 9-10 seeds/gram Very similar to cantaloupe and muskmelon. Seeds require 5-10 days at a soil temperature of 24 C (75 F) to germinate – any lower and germination will be inhibited. Sow 6-8 seeds per hill, 12 mm (1/2") deep in hills spaced 1.8- 2.4 m (6-8') from each other. Thin to 3-4 plants per hill. Never let the plants lack for water. 9-10 seeds/gram Very similar to cantaloupe and muskmelon. Seeds require 5-10 days at a soil temperature of 24 C (75 F) to germinate – any lower and germination will be inhibited. Sow 6-8 seeds per hill, 12 mm (1/2") deep in hills spaced 1.8 - 2.4 m (6-8') from each other. Thin to 3-4 plants per hill. Never let the plants lack for water.